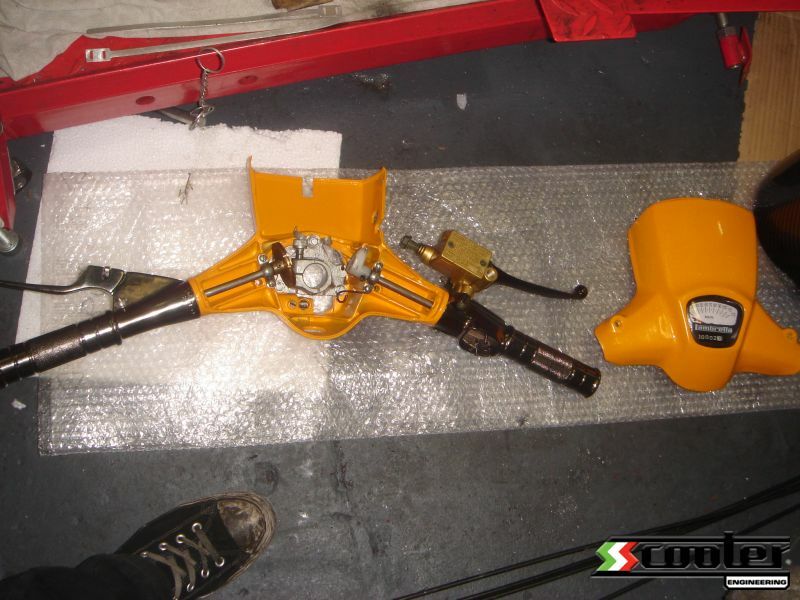 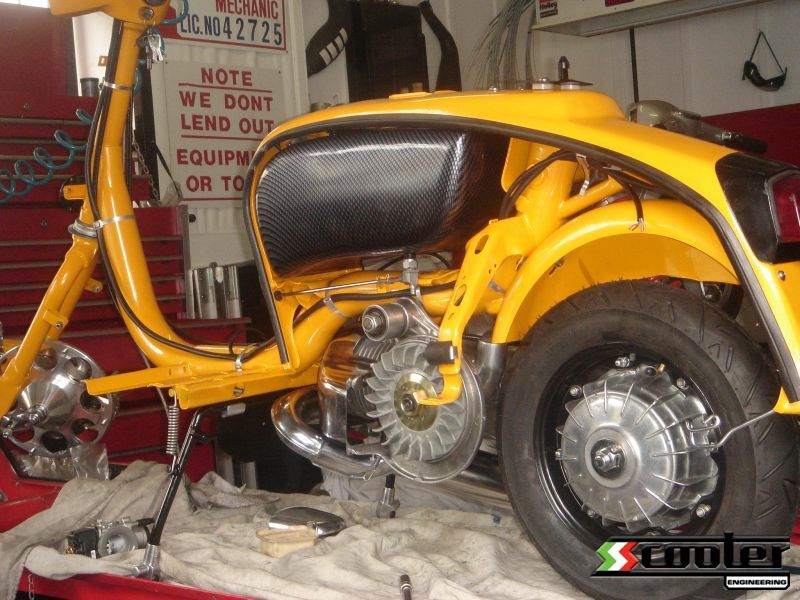 The brief for this project was to restore the vintage scooter with a modern twist. 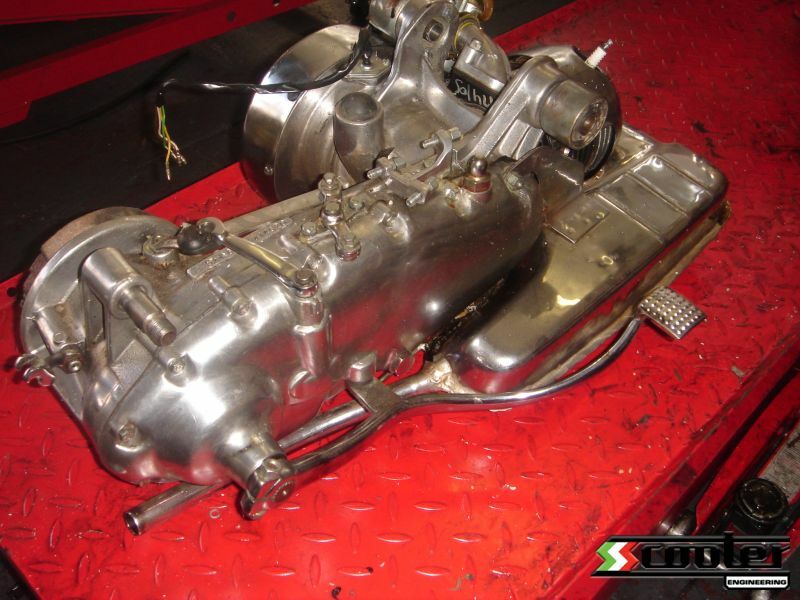 The engine is powered by a mildly tuned Imola barrel and piston featuring Variatronic ignition, a 5 plate lightened clutch and a 30mm Dellorto carb, all mated to a custom twisted expansion pipe. 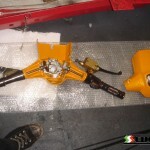 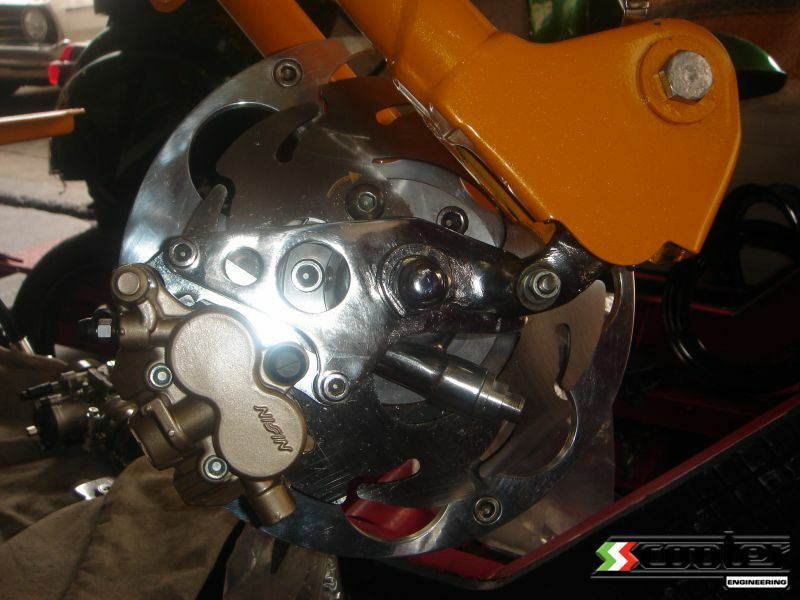 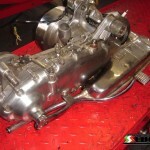 The suspension was all uprated and stopping power is provided by a custom billet disc brake conversion. 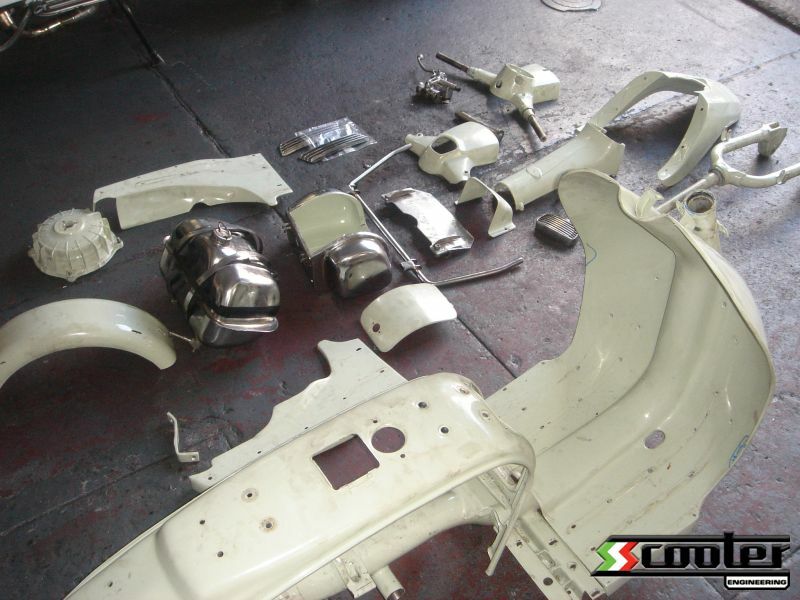 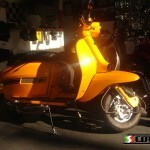 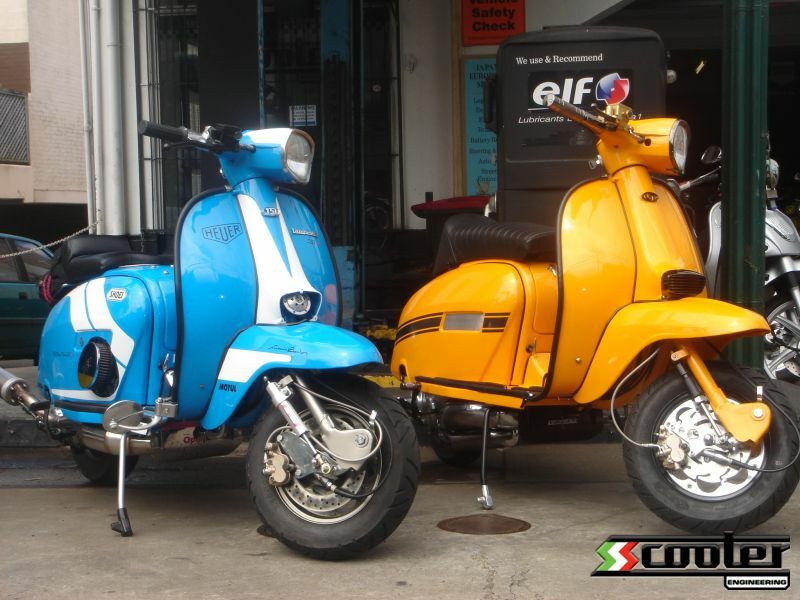 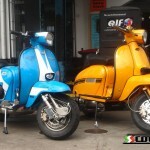 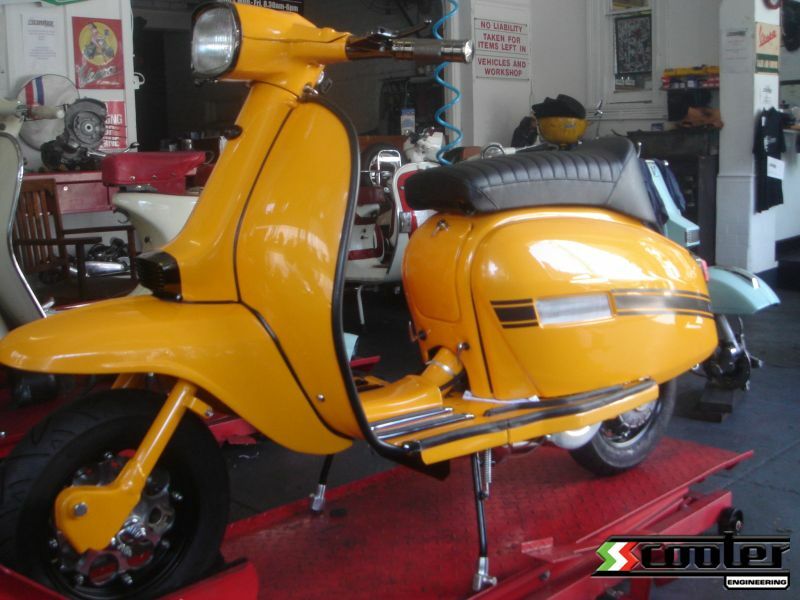 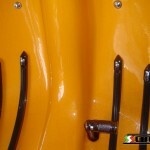 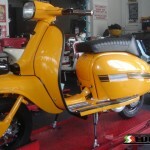 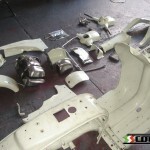 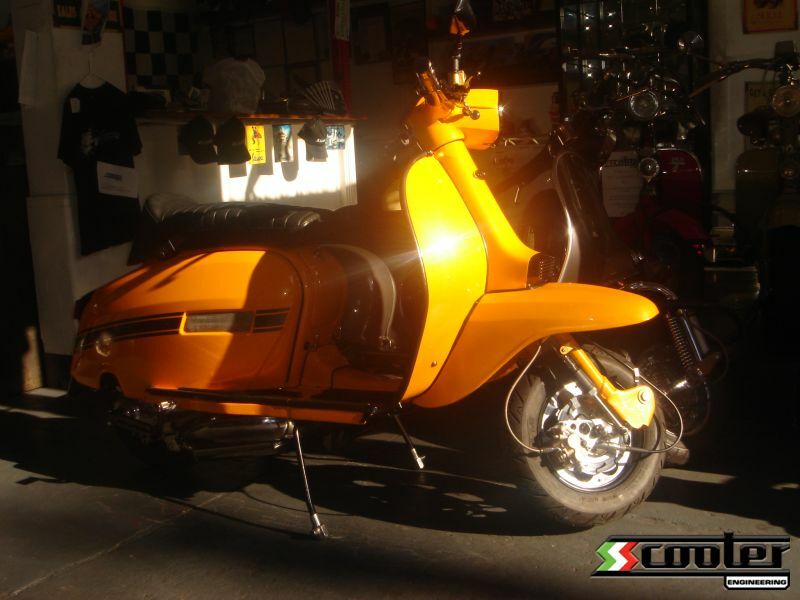 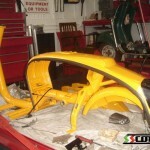 To add the modern twist, the paint is a metallic version of the Lambretta Ochre featuring a red pearl. 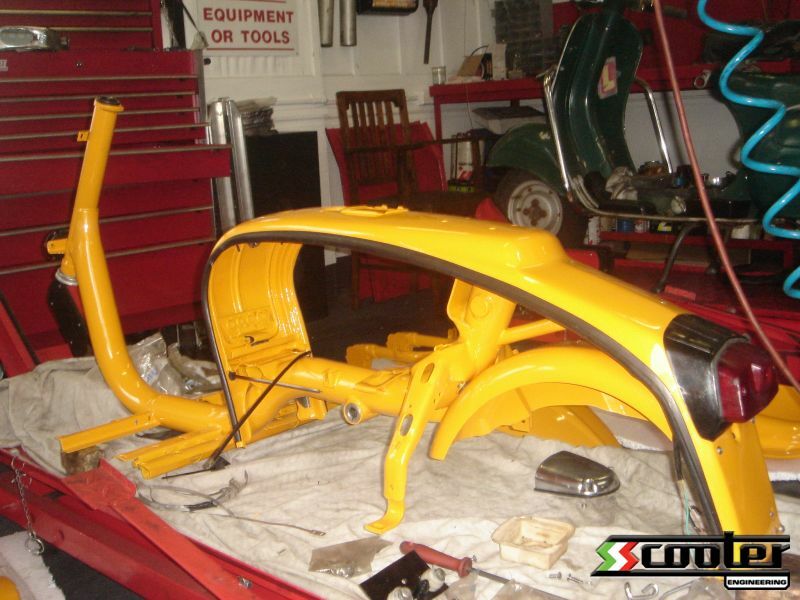 The aluminium and chrome were all ‘black nickled’ or powdercoated in satin black. 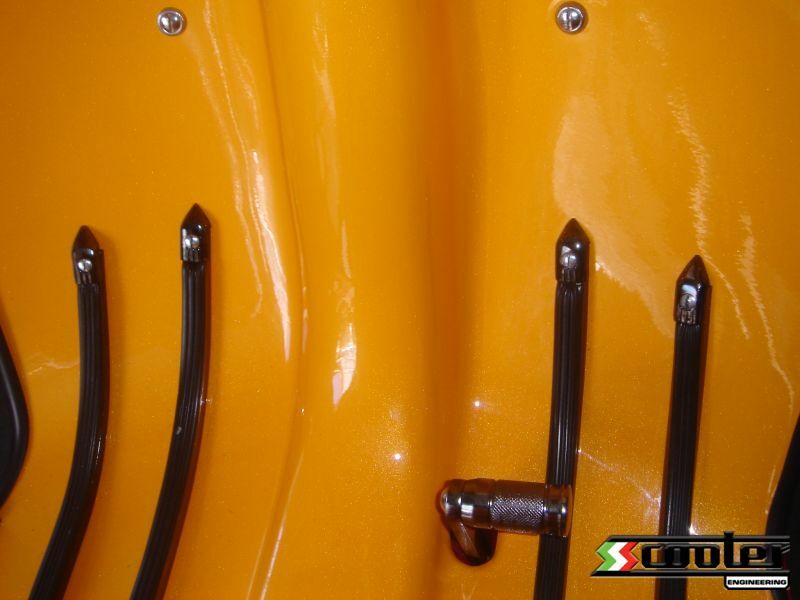 Final touches such as the carbon fibre-look fuel tank and custom billet kick start lever and brake pedal create a formidable street racer while still retaining the classic lines and beauty of Bertone’s original GP design.